I’m a little disappointed. 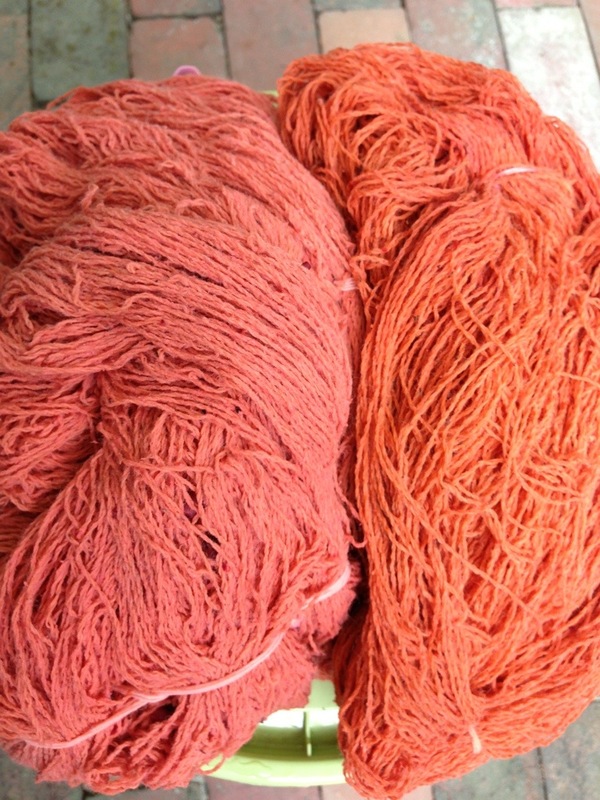 The second skein (left) isn’t as vibrant nor as saturated as the first skein (right). I don’t know if it is because the first bath exhausted the most vibrant colors or because I overheated the second bath. The second bath reached 180F. While not a simmer, it was definitely warmer than I wanted it to be. I’ve put both skeins back in the bath and will let them sit for the remainder of the week, with an occasional warming up. Thankfully, it will be a warm week (80F) and I can let the sun do most of the work for me after the initial warming in the morning.